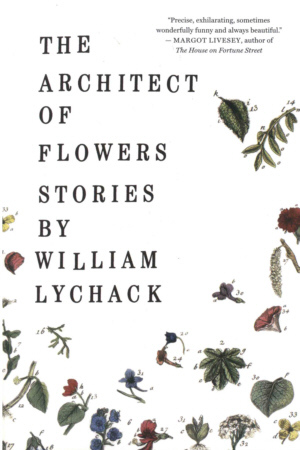 The stories in William Lychack’s dazzling new collection, The Architect of Flowers, explore the dear and inevitable distance between people in loving relationships and find hope in dark situations. With tiny, precise details, Lychack observes the overlooked moments of everyday life—the small failings between parents and children, the long-held secrets in married life. A small-town policeman brings himself to shoot a family’s injured dog; an old woman secretly trains a crow to steal for her; a hybridizer’s wife discovers the perfect lie to bring her family magically together again. Lychack’s characters yearn to re-enchant the world, to turn the ordinary and profane into the sacred and beautiful again, to make beauty serve as an antidote to grief. From ghostwriter to ghost runners to ghosts in a chapel, these stories are extraordinary portraits of life’s tender humiliations as well as its sharp, rude jolts. —Clive Cussler, author of Raise The Titanic!